Home » Website Building » Weebly » How to Add Google Maps in Weebly? How to Add Google Maps in Weebly? We will discuss both options in detail in the following sections. Map element in Weebly site editor helps to add Google maps on your site and customize the address, size, maker, etc. You can just drag and drop “Map” element and the Google map will be automatically added on the page. Address – enter the city to focus the marker on that point on the map. Zoom – set the zoom limit by dragging the slider to the required level. Width & Height – set the width and height for your map to fit on the page layout. Leave the width to “Auto” for a responsive map aligning automatically to fit the width of the browser. Position – set the left, right or center alignment of the map. Spacing – set top and bottom margins to leave space between other elements and map on a page. Advanced Location – If the address is not accurate you can enter exact latitude and longitude coordinates to place the marker on the accurate place. Advanced Display – you can show or hide marker at the address, scale on the map, overview map and map control. In most of the situations the default map is sufficient and recommend to use as it is part of Weebly editor interface. Search and locate the address. If you want add the directions between your address and any specific place. Click on the navigation menu icon located on top left corner. Choose the size for your map under “Embed map” tab. Go to your Weebly site and paste the Google maps code inside an “Embed Code” element. Adding Google map will drag down the page speed considerably as it will call Google API to load the map. So instead of adding a realtime map, you can just link to your address location on the Google map. 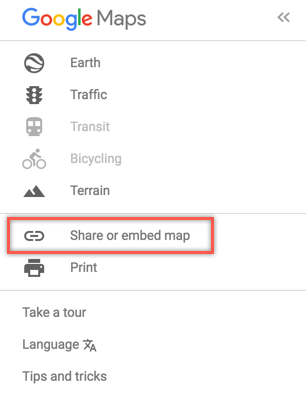 In the above process, instead of going to “Embed map” tab, click on the “Share link” tab. Copy the link and you can create hyperlink on Weebly with any anchor text or image. Clicking on the link will open the Google maps site including directions search. 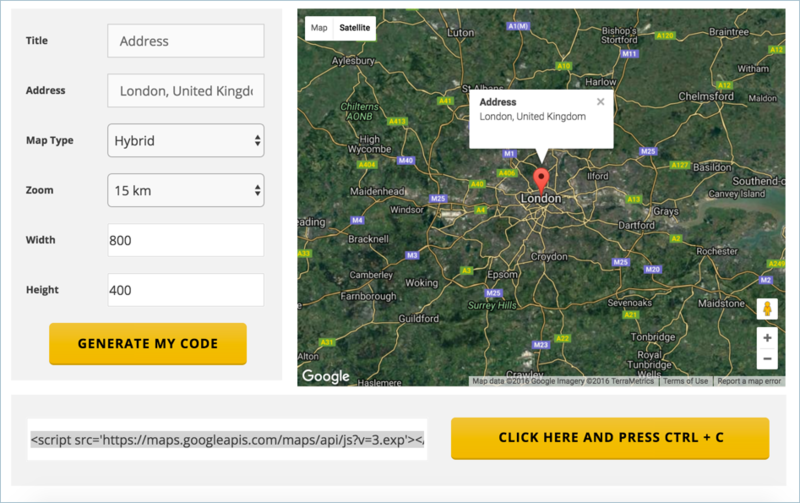 There are also many third parties offers Google Maps API with better view on the site. 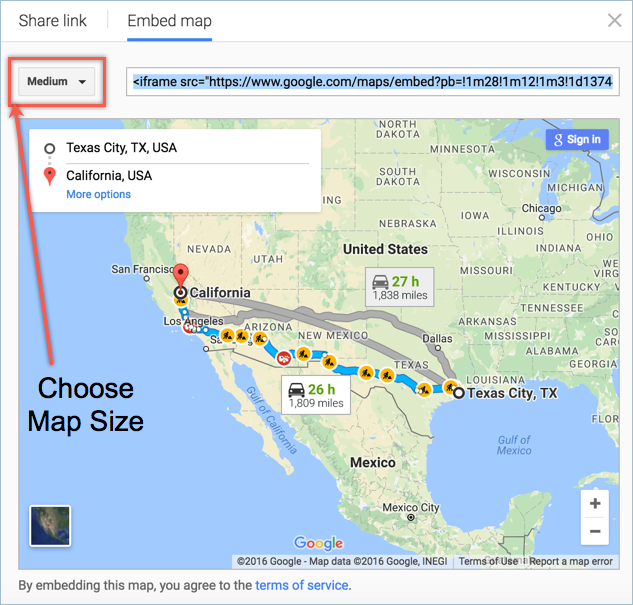 For example, you can go to embed Google maps site and provide the options like address, map type, size and zoom to generate the embed code quickly. Paste the embed code inside “Embed Code” element on your Weebly site and showcase your location on the map to your users.